Who Dr. Hale is Today! Hi!, I’m Dr. Hale Pringle. I am married with four grown children, a couple of grandchildren, two dogs that I own and one cat that owns our family. Currently I am a Certified Internet Marketing Trainer, a Certified eCommerce Coach, the Head Coach for Ecom Master – FBA Edition, an award winning blogger, author of over 25 eBooks and I am enjoying the hell out of making money selling physical products online and helping my clients do the same. It Wasn’t Always That Way! – Oh Hale No! I’d like to tell you a story and perhaps you can relate. When I was young I walked right down the path that Robert Kiyosaki talks about in his classic “Rich Dad, Poor Dad.” I worked to get a good education (three degrees), a good job (several in fact), work hard (many 24 hours days and constant self-study) and the future would take care of itself. Hmmmm we all know how that turns out. I spent 20 years working in the education field as a researcher and an administrator. During that time I worked for a Public School System and a very large Substance Abuse Center. In those days researchers were heavily involved in creating the programs they used to analyze data. Large canned packages like SAS and SPSS were released while during that time and I migrated there in a hurry. I spent 10 years as the Director of Instructional Computing for what is today one of the largest Universities in the US – The University of Central Florida. I was heavily involved in mainframe computing and in the development of networked micro-computers – what we call PCs today. Following that were years of running my own consulting business and working to develop software for small businesses. About 20 years ago I was recruited into the granddaddy MLM – Amway and realized that “residual income” was a much better goal than “hoping retirement income would come someday.” I finally understood that hour-for-dollars was never going to take me where I wanted to go. Again quoting Robert Kiyosaki, (this time from his book “Cash Flow Quadrent”) I was working the E (Employee – a job owned me) and the S (Small Business – where I owned a job). When I stopped working, the income stopped. It took a while, but I also realized that Amway wasn’t going to do it for me either. That was wen I dove into building small businesses to the point that we could sell them and have a sizeable nest egg. I wasn’t one of the fortunate few to make that system work either. During all of my computer related years I found that I could dive into a new field (a new mainframe, a new statistical package, a new computer language, a new operating system, large scale CAD/CAM systems, databases….) and after six months to a year I could come our as a very knowledgeable. Often I rated expert among my peers. 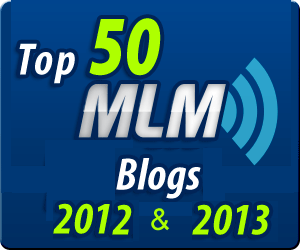 About five years ago, I was working a Network Marketing company pretty hard. I liked the comp plan, the people, the training, the products and the atmosphere. I attended meetings, showed the plan, held house meetings, attended trainings (local, regional, and national). I received checks from the company, but my expenditures far out-stripped my commissions. Eventually I came to the conclusion that, in spite of the old school training I was receiving, my skill set involved computers and I was going to need to find leads on-line if I was going to really build the business. I came on-line looking for leads. Even at the age of 65 with a doctorate I was still naïve about online business. I honestly felt that with 40 plus years working in the computer industry, I would be able to dive in and get a lead system going quickly. Silly me! As noted above, I had a history of being able to master new field in self-study mode. I dove in using the drive and techniques that had served me well for decades. I attended workshops, Webinars, read books and eBooks, bought products, systems and joined programs like Empower Network. I found that I had lots of pieces and even when I sorted them out into their respective money making systems, I was always missing pieces. Out of Self-Learning Mode – Moving On To Working With A Mentor. I took a look at where I had been and decided that I needed to find a program with three things. A Mastermind group – other people working on the same thing I was working on who were willing to share their experiences, answer questions, brainstorm, form partnerships and who knew what I was talking about. It took a while, but I finally found Ann Sieg and her program The Renegade Team. That program had everything I wanted. Since that time the program has expanded dramatically and today it is called the Daily Marketing Coach. I’ll be honest with you. This program is very robust, but it requires that you are dedicated to becoming a professional online marketer. It is not a get-rich-quick or done-for-you program. The training is outstanding, but there is a lot to learn. One of the eBooks I wrote (Three Phases of Attraction Marketing) talks about the three steps – as I see them. Building Phase You build a foundation – a blog or a Facebook Page or some other place where you can interact with your target market. List Building Phase – You become a Go-To Person in your niche. You do this by developing an email list of potential buyers by providing good content, trading free material for email addresses and a dozen other ways to interact with your target market. Along the way I out-grew “being a rep for an MLM” and graduated into being in business for myself, but not by myself. What we call a starving crowd – people who have a common problem and are willing and able to buy a solution. A Product that will at least partially solve the problem. Develop a way to deliver the product. It is pretty easy to see how a brick and mortar business has all nine of these elements (except perhaps the number 5 – and they SHOULD be doing number 5). Successful online marketers develop or tie into system that have all nine of these components. I learned marketing – in the DMC program, you can’t help but learn marketing. I still wasn’t satisfied with my options. As I saw it, I had several paths I could follow and I didn’t really want to go down any of them. Use my large eMail List and sell new informational products that I created. All of these came down to efforts in the Small Business arena where if I stopped developing new programs and driving new traffic, the money stopped. Early in 2014 the leadership behind the Daily Marketing Coach found a program that was teaching people two methods of eCommerce – Drop Shipping with eBay and Fulfillment by Amazon (FBA). The Drop Shipping program is ideal for people who have time and very little capital to invest in their business. FBA is ideal for those with some capital and some savvy – built either through the Drop Shipping business or through life experience. Let’s look at the Critical Elements again. What we call a starving crowd – people who have a common problem and are willing and able to buy a solution. – Amazon has hundreds of millions of buyers who want to buy. There are many needs. You need to find one. Establish Your Credibility – Why should your prospects buy from you? – Amazon has done that for us. Develop a place where you can present your product to your prospects – Amazon has done this for us. Develop a way to collect email addresses of the prospective customers who are exposed to your product. (You can present new products or variations on your products if you know who these people are.) – This is tricky with Amazon and is advanced material. You can makes millions per year without this step. Hook into a way to collect money – Amazon has done this for us. None of us start here, but this is where we are working to go. You find a source for a few items that sell well (10 to 1000 units per day). You buy stock, process it and ship it to Amazon. They handle the everything else. You or your assistant keep track of the stock and reorder when needed. At times you need to find a new product when current offerings go out of style or are no longer offered, etc. In the first few months I grossed over $18,000 and netted over $10,000. That number is steadily climbing and I am loving the process. I am no longer working with the Daily Marketing Coach program. After three years, I basically outgrew the program and it was time to move on. I learned a tremendous amount and if you want to REALLY learn Internet Marketing I highly recommend it. I work on a commission base with a small number of clients. I help them optimize their Amazon Listing and help them drive their product to the topy of page one for their keywords. At the same time I am building my own business. Fill out the form and we can discuss which parts of the various programs might be right for you.